The Falls Road library is a ‘Carnegie Library’ (WP) – built with almost 4,000 pounds donated by Scotland-born American Andrew Carnegie. It opened on January 2nd, 1908, the second of three such libraries in Belfast, alongside Oldpark and Donegall Road. 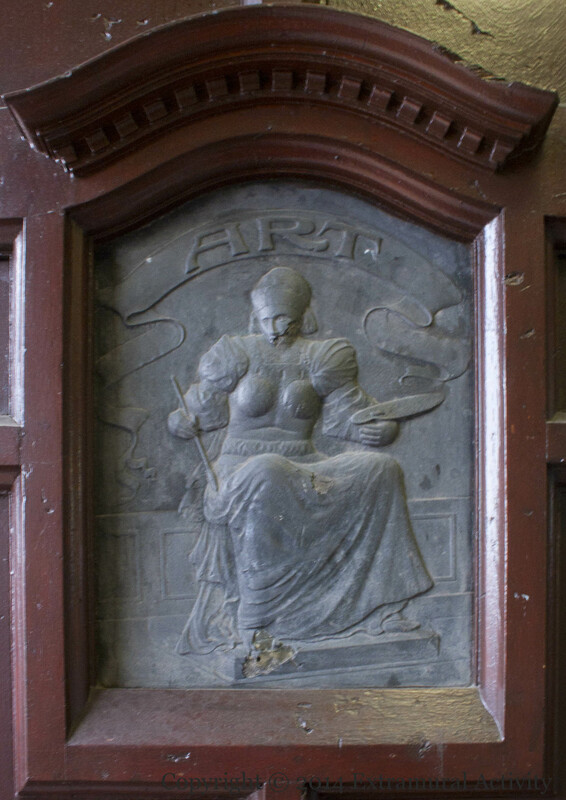 Its doors feature these two pieces by Holywood artist Rosamund Praeger: Art, seen here holding an artist’s palette – and Literature, seen below reading a folio. 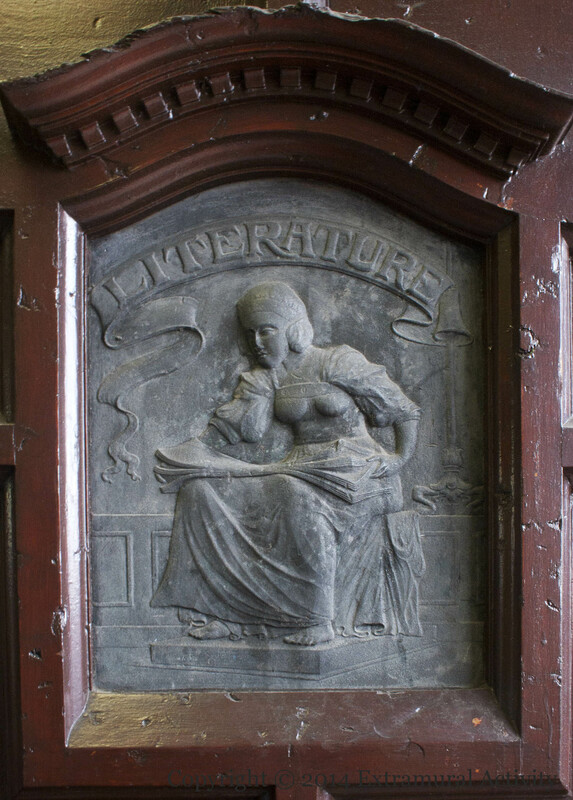 Art and Literature also take the form of angels, along with a third muse, Science, in the stonework above the doors. Video history of the library from Northern Visions.